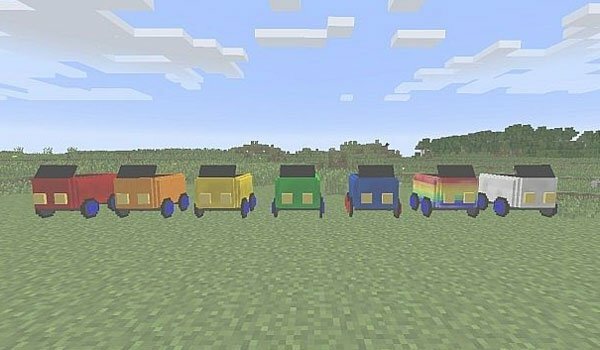 Seven colorful cars to drive through the plains of Minecraft. 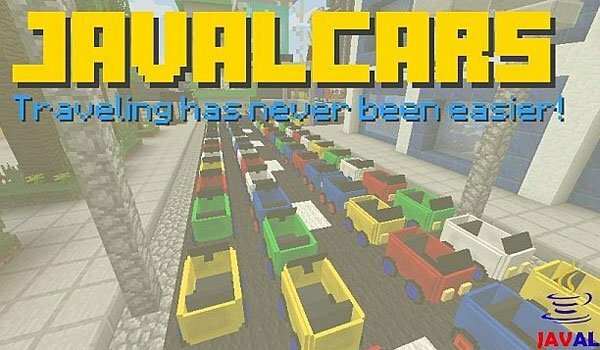 JavalCars 1.7.2 is a mod that lets you create colorful and funny cars to make a tour in Minecraft worlds. This vehicles have to be built in parts and the main element for this craftings is the iron. As this cars run with energy, you have to use coal or charcoal as a power source for your new transport. To use the vehicle interface, key “Shift” and right click to the car. To insert coal to the car, you just have to hold coal with your hand and get in the interaface like explained before. This is a mod in development that still doesn’t contain all the features that its author wanted to add, however the vehicles are still fully usable. To add carbon to carbon single vehicle we have on hand and access the interface, as we have named above. How to install JavalCars Mod for Minecraft 1.7.2?